This cute 2 bedroom bach is set up ready to go for up to six people! 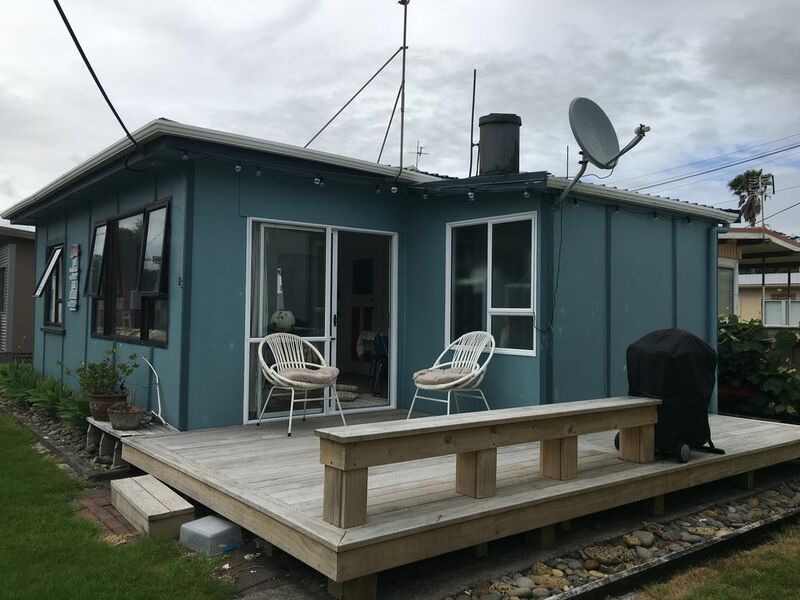 Cosy, sunny family bach at Urenui Beach close to river, beach, boat ramp, 9 hole golf course and play ground. Fully self contained with living/dining area and two bedrooms, one bathroom (shower), outdoor shower, two TVs, Webber BBQ. Games, toys and some DVDs for children and a kayak to enjoy on the river. Thanks Vicki and Heath, loved our stay at your gorgeous batch. Everything we needed, plus more was there.The out door shower a real bonus and of course the divine ripe grapes on the back fence. Would love to rent again. Loved this little batch, clean and tidy hope to come again! Perfect couple of days at the beach. Gorgeous little bach, ideal for families. Ideal for families, it has everything you need.